It happens very often that few countries become the go-to place for the purpose of escaping the limitations of that sector. For example, a lot of companies have their domicile from the state of Delaware. The biggest limitation for the field of cryptocurrency is the numerous regulations which it has to deal with on the day to day basis. 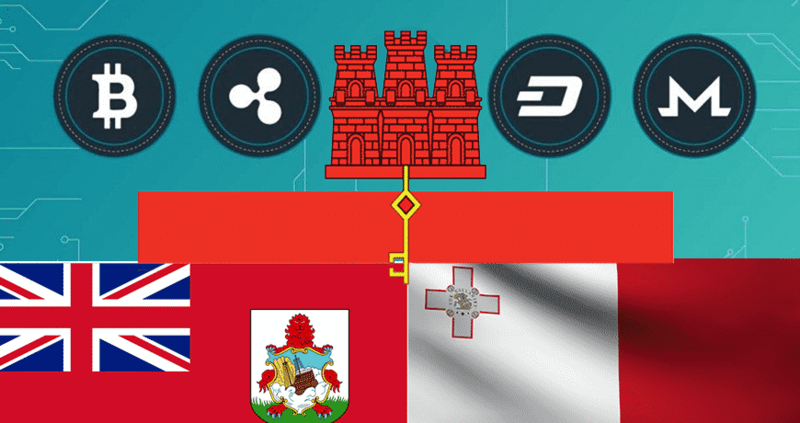 So now the race is on between the three states to become the safety zone for the cryptocurrency, a sector which is in dire need for a comfort zone, these three states are Gibraltar, Bermuda and Malta. Laws are being changed in the three countries to ensure that it is more welcoming to the virtual currency. There is an attempt to prove that these states are safer for cryptocurrency than the other states. The government of Malta passed laws to ensure that the companies do not face a hesitation in coming up with new innovations in the field. Bermuda is not far behind it has put a new process in place that allows the users to gain a speedy approval for the companies who want to come up with the Initial Coin Offerings in the market. The prominent entities from Bermuda are saying that they want to play the role of the shelter that is required when it comes to the development of any new sector, any sector which is in its starting phases, which is yet in a nascent stage, needs a time as well as freedom to grow, authorities from Bermuda has started that they would like Bermuda to be this place for the sector of cryptocurrency. This race to become a crypto hub has commenced because digital currency has worn out its old shoes, it is now taking massive dimensions in the world and giant steps forward, because digital currency is now entering the mainstream market, and there is a lot of growth that can be envisioned with steps which are being taken. That is some relaxation in taxes as well as increase in employment. As ardent as these regions are for the incorporation of these new measures, there is a lot of risk that is involved when it comes to cryptocurrency. No one can deny the excessive presence of irregularity and volatility as far as cryptocurrency markets are concerned; it is flooded with scams of money laundering and excessive cases of tax evasion. Moreover, there is the whole issue of how the volatility that is in the market has to be handled, since for the longest period of time, there is a lot of arbitrariness that has existed in the market. A lot rests on the ability of the region to handle the market of cryptocurrency, that even though provides advantages, requires proper system and attention.